Lab is mainly used for the experiments and measurements defined in the curriculum of ME 411 Experimental Methods in Mechanical Engineering and PHYS 103 Physics Laboratory courses. It is also possible to use the resources of the lab for the graduation projects and for the measurement applications in graduate thesis or other academic projects. Strain, Pressure, Temperature, Flow rate, Level/Displacement, Vibration. These measurements are made by the NI Labview software available in the 6 workstation desktop computers and c-DAQ data acquisition units. 3.3 It is also possible to conduct experiments and measurements for the industry using the capabilities of our laboratory. Especially applications related with the high resolution camera, thermal imager and sound/vibration analysis services can be provided. However, we do not presently have the means and instruments for calibration to document our services in accordance with the related standards. (*) These robot manipulators that cannot be operated due to some missing electronic carts will be transferred to the Intelligent Machines Lab. Experimental and Thermodynamic Analysis of an NH3/water Absorption Cooling System; Ebubekir Öztürk, Soner Yörükoğlu; Supervisor: Barış Yılmaz. The Investigation of Change in Surface Hardness for Different Materials; Özcan Kaya; Supervisor: Aykut Kentli. 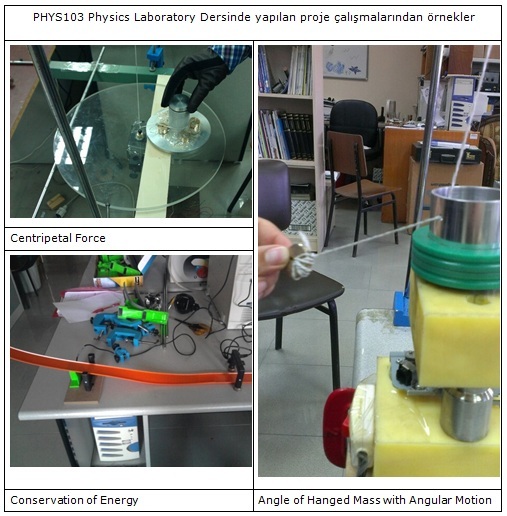 Effects of Different Velocities on Fan Coil; Güzide Özlü; Supervisor: Emre Alpman.